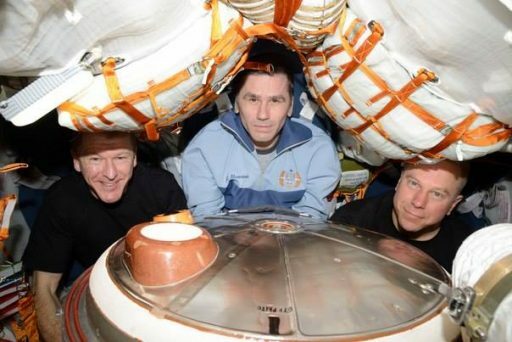 Soyuz Commander Yuri Malenchenko – a sixth time space flier – will be joined inside the small Entry Module of the Soyuz by Tim Kopra of NASA and ESA’s Tim Peake. The three-man crew will bid farewell to their colleagues staying in orbit at 2:35 UTC when the hatch to the Soyuz will be closed, to be followed by undocking at 5:52 UTC. Soyuz will then make two laps around the planet before firing its engines to be set on a path for a parachute-assisted landing at 9:15 UTC. 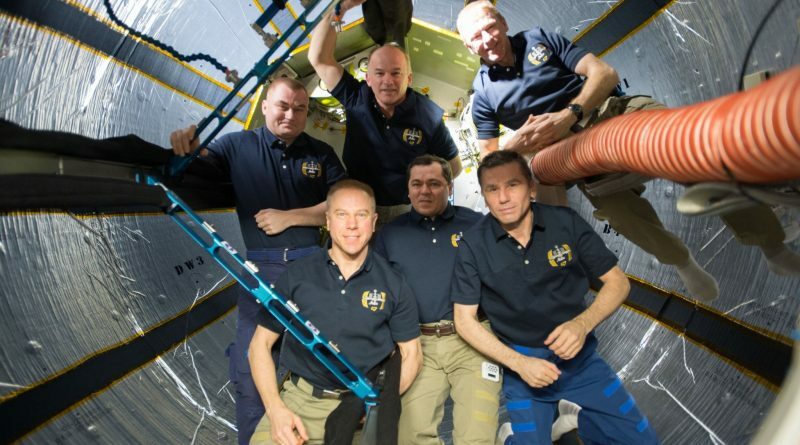 On Friday, the six crew members of the International Space Station gathered inside the Kibo module for a short ceremony for Tim Kopra to hand command of ISS over to Jeff Williams who will remain aboard the Station until September together with Russian crew members Aleksey Ovchinin and Oleg Skripochka. 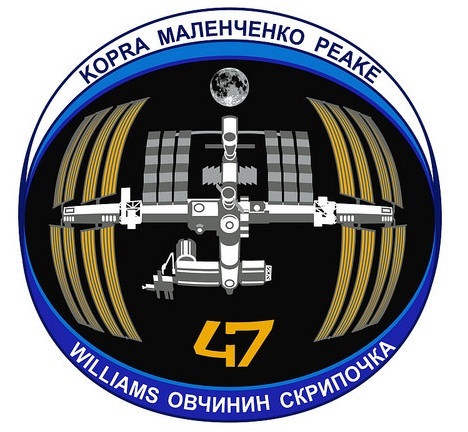 Kopra noted the major achievements of Expedition 47 including the addition of the Bigelow Expandable Activity Module to complete a two-year test of expandable space habitats. With sunny skies forecast for their landing zone, the crew looks forward to touchdown after a mission of 185 days and 22 hours. For Soyuz commander Yuri Malenchenko, it will be the fifth landing aboard the Russian Soyuz spacecraft, bringing his total time spent in space to 827 days – ranking second on the all-time list for career time logged in space. 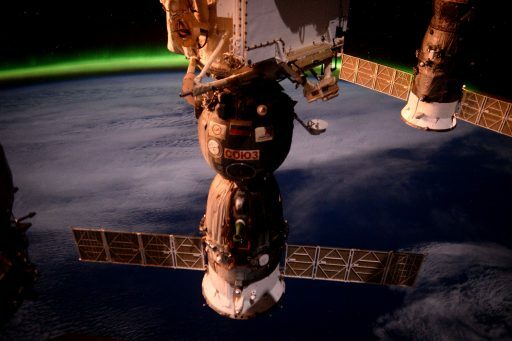 Soyuz TMA-19M blasted off from the Baikonur Cosmodrome on December 15 and completed a six-hour link-up with the Space Station, culminating in a manual docking executed by veteran commander Malenchenko after one of the spacecraft’s thruster systems encountered an anomaly. Once docked, the crew could enter their home in space for a very busy mission. 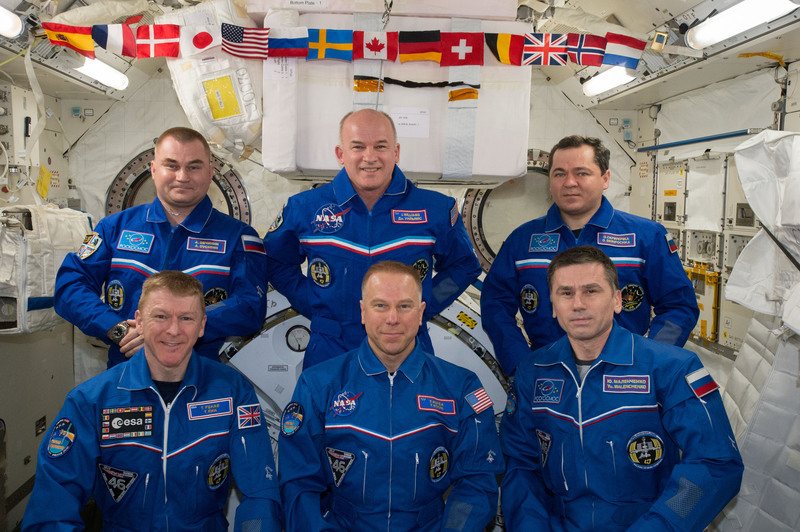 Over the course of their 185-day stay, the crew supported over 200 scientific studies in progress aboard ISS, worked with a number of visiting vehicles and supported spacewalk activities. They also saw off the first one-year ISS crew of Mikhail Kornienko and Scott Kelly who returned to Earth in March. 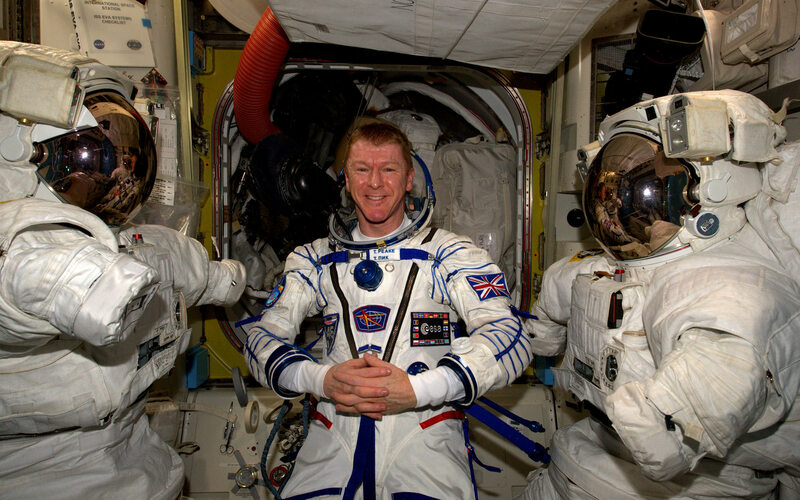 Throughout their mission, Tim Kopra and Tim Peake were very active on Social Media, posting imagery of Earth and providing a look at their daily life aboard the Space Station. With their mission winding down, the three Soyuz crew members went through around two weeks of preparations for returning to Earth – changing their exercise regime to prepare their bodies for experiencing gravity again. They also completed cargo loading on their Soyuz – filling the Orbital Module with no-longer needed items and placing return cargo inside the Entry Module. The Soyuz spacecraft was put through a series of checkouts including a test firing of its thrusters, performed earlier in the week. Also, the crew completed checks of their Sokol Launch and Entry Suits and the fit of their seats inside the Entry Module. 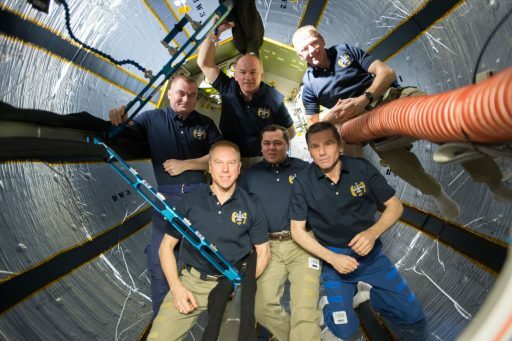 They went through simulations of their descent to Earth in normal and emergency scenarios to make sure all crew members will be on the same page during the fast-paced return events. The crew’s last night on ISS was not as quiet as one would hope for due to an alarm waking them up in the middle of their sleep period because of an electrical failure. The problem – a trip of a DC to DC Converter Unit – was not of a serious nature and the crew was sent off back to bed while mission control dealt with power reconfigurations. 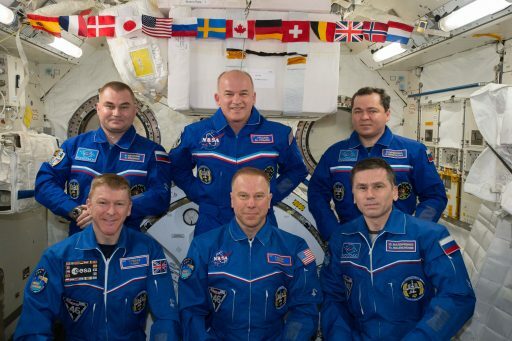 The crew will have a rest period in the day on Friday to gear up for their overnight return to Earth. Commander Malenchenko will activate the Soyuz spacecraft in the evening for a set of communication checks and reconfigurations on the flight control system. 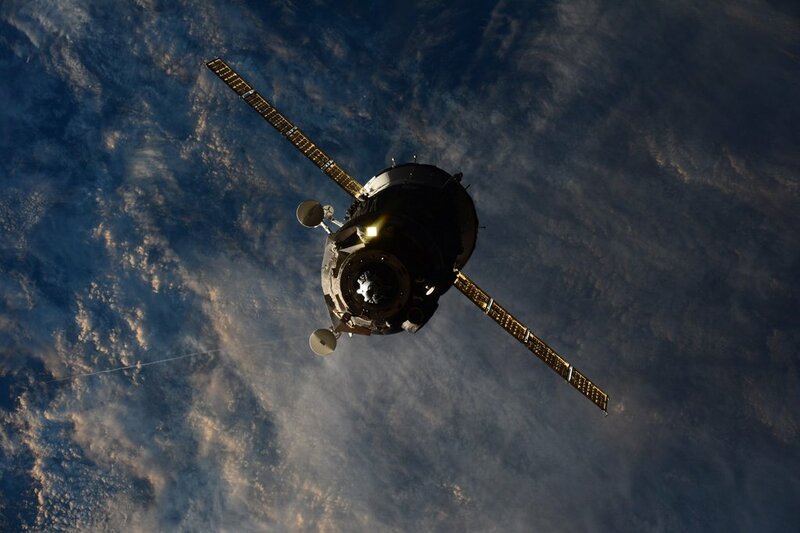 Mission Control Moscow will radio up to the crew the last changes to their deorbit timeline based on the latest calculations of the re-entry trajectory using orbital tracking of ISS. 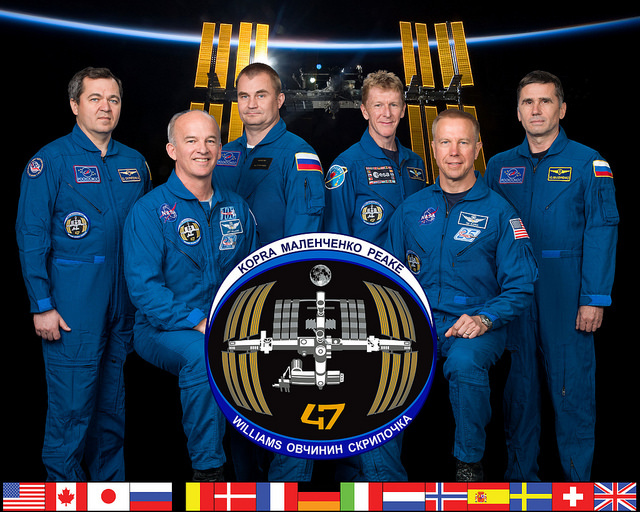 The six crew members will part ways at 2:35 UTC and Malenchenko, Kopra and Peake will float into their Soyuz and close and lock the spacecraft’s hatch, to be followed by the closure of the Rassvet module’s hatch to clear the way for an hour-long leak check. While leak checks are underway, the crew inside the Soyuz will ingress their Sokol Launch and Entry Suits and close out the Orbital Module. When leak checks are complete, the crew members will strap themselves into their seats – Commander Malenchenko, closing out his sixth spaceflight, will sit in the center, flanked to his left by Tim Kopra and Tim Peake in the right seat – both looking forward to their first return aboard the Soyuz. With the crew in the Entry Module and the Orbital Module closed out for re-entry, Mission Control will give them a GO to close the Entry Module Hatch. Pressure from the Orbital Module will be vented to an intermediate cabin pressure to permit a leak check on the internal Soyuz hatch. A leak check will also be performed by each crew member on their Sokol suit to make sure all are holding pressure to act as a last resort to keep the crew safe in the event of a cabin depressurization. Hooks on the Rassvet module will be opened and Soyuz will be transitioned to autonomous power and radio communications as data/electrical interfaces with ISS are demated. No re-orientation will be made by ISS in favor of a modified Soyuz departure sequence with two engine burns, avoiding a significant propellant expenditure when moving ISS to a different attitude for the Soyuz departure. Five minutes prior to undocking, the docking mechanism of the Soyuz will be powered up and the crew will issue the last set of commands to set up for separation. 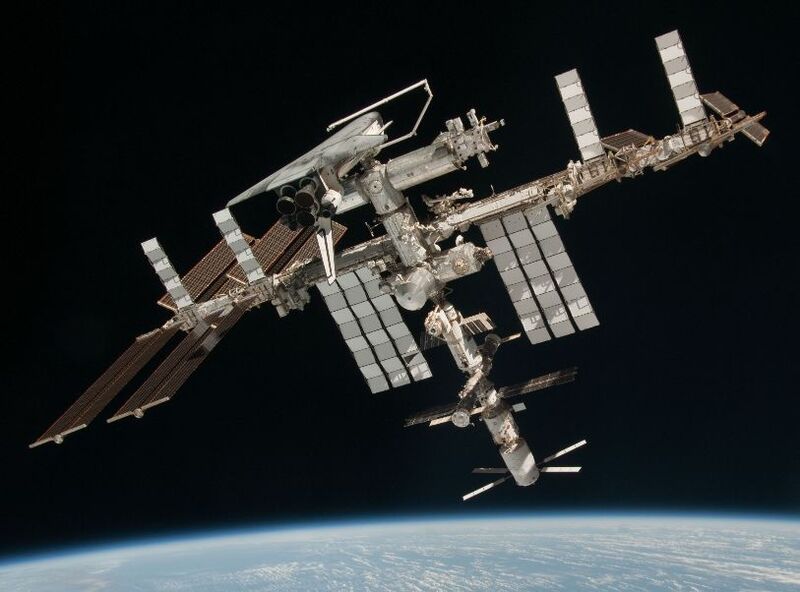 ISS will disable the Russian Thrusters one minute prior to the undocking command to prevent any thruster firings during the demating sequence while the USOS Control Moment Gyros will enter a Fine Attitude Hold mode for the undocking sequence. Upon receiving the undocking command at 05:51:00 UTC, the Soyuz will begin driving open its hooks leading up to physical separation that is commanded 90 seconds later by releasing a set of four loaded spring assemblies that deliver a force of around 300 Kilograms to push the Soyuz and ISS apart. Soyuz will drift passively for three minutes to open up a sufficient gap to ISS for an eight-second departure burn using the Soyuz’s DPO thrusters to deliver a thrust component along the R-Bar. Next is a roll maneuver followed 80 seconds later by the second departure burn that occurs along the V-Bar to initiate the typical departure along the velocity vector. The crew will complete a few reconfiguration tasks to put the Soyuz in a Free Flight mode before settling in for one and a half orbits that will allow the Soyuz to move away from ISS, increasing the gap to around 12 Kilometers. Ignition of the SKD main propulsion system is expected at 8:21:53 UTC on a burn of four minutes and 37 seconds to slow the spacecraft down by 128 meters per second to place it on a path to re-entry. The deorbit burn has to be performed with great accuracy to put the Soyuz on a path to intercept the dense atmosphere within a narrow corridor, en-route to the planned landing site south-central Kazakhstan. Separation of the modules is expected to occur at 8:48:58 UTC when Soyuz is 140 Kilometers in altitude, approaching the dense layers of the atmosphere. Firing a series of pyros in close succession, the Orbital and Service Modules will be pushed away from the Entry Modules into different directions with specific velocities to ensure no re-contact would occur between the modules. Soyuz will dip below 100 Kilometers, marking the start of Entry Interface, expected at 8:51:48 UTC at a speed of 7.6 Kilometers per second. 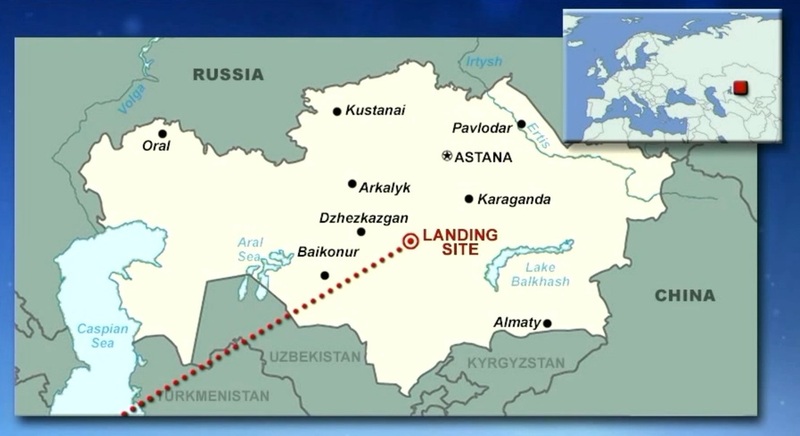 For the first 89 seconds of re-entry, the Soyuz will stick to its initial re-entry attitude before enabling Entry Guidance that will put the Soyuz through a series of bank maneuvers and modify its lift to home in on its planned landing site located 148 Kilometers south east of the town of Dzhezkazgan. Split seconds before touchdown, the Soyuz will fire its solid-fueled soft landing engines to cushion the impact. 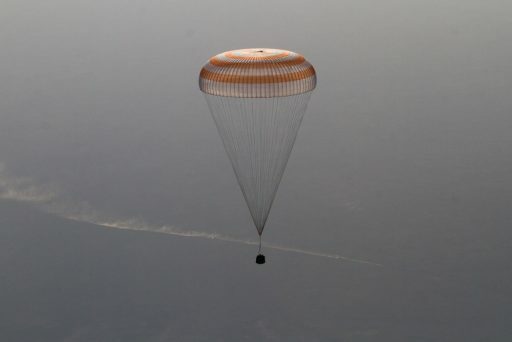 Touchdown is expected at 9:15 UTC on Saturday in the southern landing zone of the Soyuz where a 300-person recovery team will be standing by in helicopters, all-terrain vehicles and off-road vehicles to begin rushing to the landed Soyuz craft. Being helped out of their spacecraft, the three crew members will be greeted by sunny skies, marking the end of a busy space mission.